I am beyond happy to introduce Coulisse (rhymes with police) my new, as they say in Europe, 'range' of blinds, shades and sliding panel systems straight out of The Netherlands. Yes, I said Holland, you guys! Dutch design is my absolute fave-everything they design is just too cool for words-my heart literally skips a beat when I look at their stuff. 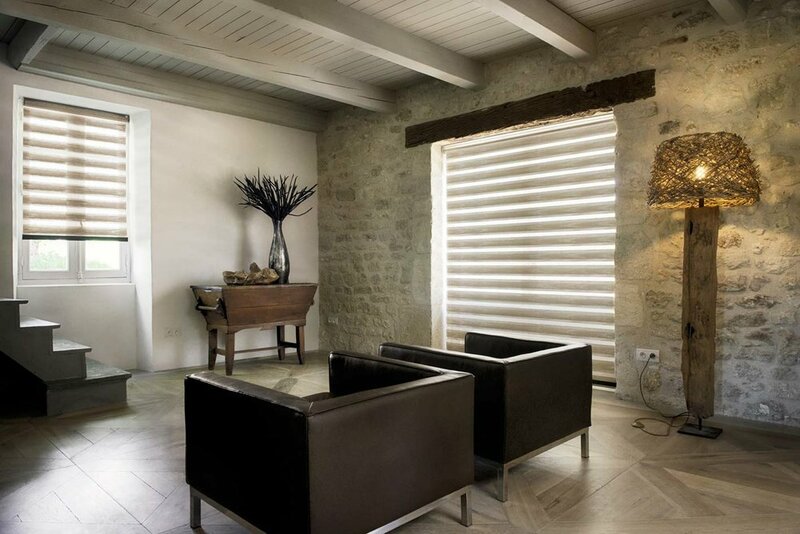 Urban Loft WT is the first company in Philadelphia to introduce and carry this fashionable line of window treatments. Philadelphia is quickly morphing into a major player as far as cities go and all the hype & recognition is well-deserved and long overdue. We have earned it, plain and simple. Superficially, our shopping is world-class and our restaurant culture is in a league all its own. I blinked and Center City Philadelphia is suddenly brimming with beautiful, inventive, exciting real estate and an amazing urban energy that is unique to Philly. Scratch the surface and you'll find that the people are what make Philly so great. Demography is alive and well here in every sense. Every neighbourhood has its own identity and tons of people of all ages are moving back to the city center. It is a big city with everything a cosmopolitan city has to offer yet it still feels manageable, walkable and has a homey town charm. The development deals are happening left and right and before I buckle up, I better have the goods to play with the big GIRLS and boys once this whole thing rolls out. Soooo...I've been busy working, networking, sourcing & making my own deals to ensure my collections are finely tuned so Philly's future windows are properly & beautifully outfitted. Somebodys gotta do it right? So I took it on!! !